The Speech and Drama Committee is pleased to include in this year’s Festival a heat of the National Prayer Book Society Competition – THE THOMAS CRANMER AWARDS. Set of Collect, Epistle and Gospel from the Book of Common Prayer for any Sunday or Holy Day. A passage consisting of one or more of the Psalms and/or Canticles. Any suitable passage from the services of Morning or Evening Prayer or the Services of Holy Communion but excluding the Absolution Blessing or Prayer of Consecration or other material appropriate only for speaking by a Priest. Any suitable passage from the Services of Baptism, Marriage or Burial, but not including the priestly words of blessing. Any suitable passage from the Catechism or from the Special Prayers and Thanksgiving, or the Litany. Although the content of the performance of competitors of different ages will vary, this is acceptable to the Prayer Book Society and will be adjudicated with sensitivity. Further information is available from the Speech and Drama Secretary. 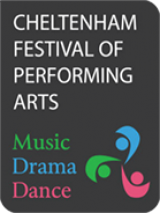 All entries to be made on Festival entry forms and to be governed by Cheltenham Festival of Performing Arts rules. The winner of this Class will qualify to take part in the National Final to be held in London at a date to be announced later. Please apply to the Speech & Drama Secretary for the required opening and closing wording. N.B. THIS IS A CLASS WHERE THE SPOKEN WORD IS ALL IMPORTANT, THEREFORE THE USE OF MUSIC AND/OR MOVEMENT IS NOT PERMITTED. * In the Regional heats, the extracts need not be memorized. In the National Finals competitors may use their own choice selections in each of the age groups BUT this must be memorised. TCa – THE THOMAS CRANMER AWARD CLASS – Open to performers aged 11 – 14 years on 1st February 2019. TCb – THE THOMAS CRANMER AWARD CLASS – Open to performers aged 15 – 18 years on 1st February 2019.